Home › National List › Watch Your Mailbox! If you ordered a hardcopy of The National List 2013-14 Directory, it will be shipped from the printer in Maryland the week of July 22nd! You can expect to see it in your mailbox in a week or less after that date, depending on mail service to your area. But why wait! You can check out the latest information with just the click of your mouse! 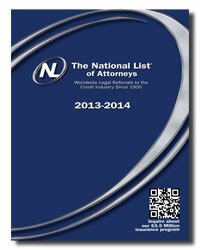 The digital online edition of the 2013 – 2014 NL Directory is already on our website and ready to use. It is under the new Legal Resources tab on our homepage. If you are already registered, logged in and have clicked on “Remember Me,” you can go directly to http://ebook.nationallist.com/i73784. The login and password are the same ones you use for the NL website. Please let us know if the hardcopy you ordered hasn’t arrived by August 5th. ‹ Do you know the difference between a “true” predictive dialer & a “generic” one?